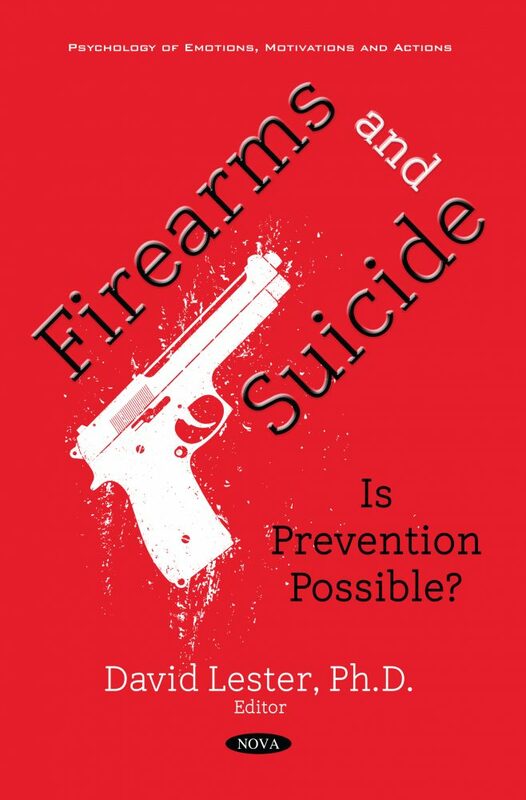 Home / Shop / Series / Psychology of Emotions, Motivations and Actions / Firearms and Suicide: Is Prevention Possible? There are many issues in the role of firearms and personal violence (suicide and homicide). Do strict gun control laws have a preventive impact on the use of firearms for personal violence? Does the prevalence of firearm ownership impact the use of firearms for personal violence? Do people perceive the different methods for suicide differently? Are there certain types of people and situations that favor the use of guns for personal violence? Are there possibilities for reducing the role of firearms in personal violence other than reducing their prevalence? What is the experience of other nations (Australia and Canada) in coping with the role of firearms in personal violence? This book will explore the answers to these questions. Chapter 3. Working with Gun Owners, Dealers and Gun Lobbying Groups: Is It Helpful or Harmful? Audience: Those involved in suicide prevention and those involved in gun control. It was written for researchers and academics, but some chapters might have broader appeal.